We bumped into some other “Guides” on the lake today. One of these guys thinks pounding on his boat with a “Base Ball Bat?” attracts fish. I say keep pounding, cause it gives you something to do while your not catching fish. I put my clients on over 400 sand bass today. We were catching them one after another, once we had our limit we kept fishing and started tossing fish back. We threw back more fish than all the other guides caught combined. The Sand Bass Fishing is smoking hot right now, if you don’t use pounding a bat on your boat as “fish attractant”. If you want the best lake Lewisville fishing guide call me, I can put you on the fish with out the base ball bat. For the best Fishing in Lewisville Texas call Steve’s pro Guide today. The Lake Lewisville Catfish bite has been great the last couple of days. We have caught lots of trophy sized big blue cats. I put my clients on some nice fish today 25lbs to 50lbs. 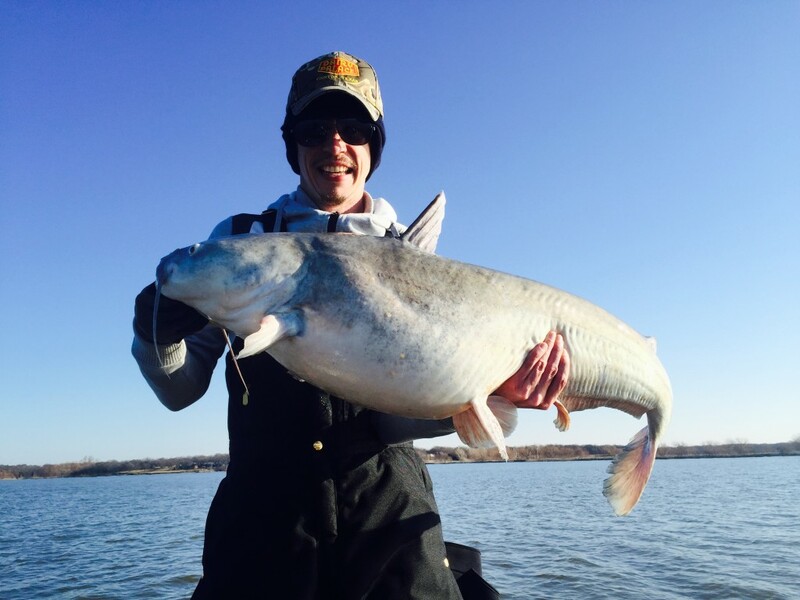 Lake Lewisville is definitely producing some world class trophy blues this years. If your looking to go on a trophy Blue Catfish tour and face up to some river monsters, give me a call today. I have a few spots left, but they wont last. Come get you one these Big Blue Cats. What a great day of fishing on Lake Lewisville with these two great servicemen. Hats of to you guys, and thanks for your service our country. We killed it all today. I put my clients on a 40 lbs Blue Catfish. The wind was good in the morning and we had three Blue Catfish on at one time early on. We caught trophy’s Blue Catfish and some nice eater size fish. 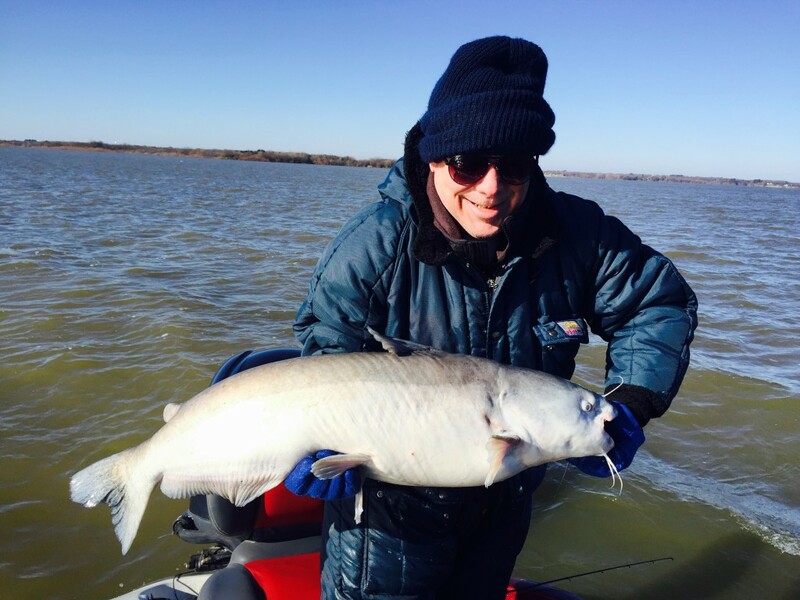 The Blue Catfish season is definitely on at Lake Lewisville this year. The wind died down around noon so we hit the sand bass and hybrids. My clients went home with some nice sized fish, Blue Catfish, Hybrid Bass and Sand Bass. It was a great fishing trip. We have multiple days of good weather next week that should make for some very good fishing. So if you have been waiting for a good time for a great fishing trip now is a good time. If your looking for an exciting Dallas Catfish Guide experience, Call to set up your guided trip today. 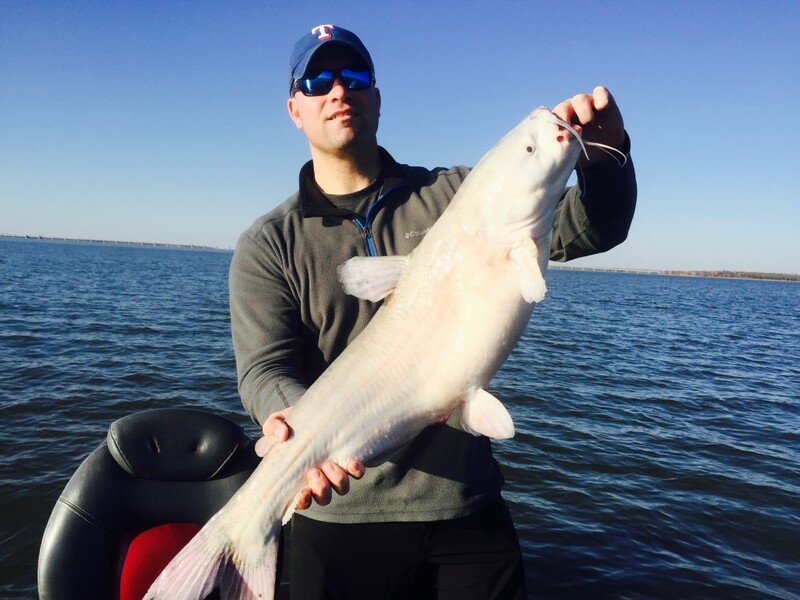 Another great day of blue cat-fishing out on Lake Lewisville. Blue Catfishing has been good as of late and I am putting some nice eater size cats in the live well. We are also catching slot size fish and have hooked up some nice trophy fish lately. If you have never caught a trophy fat pig blue catfish now is time to come fishing. There is a really big one that has gotten off a few times on my last few trips. We are looking for the some one that can tame that monster blue cat. He could be over 100lbs, he has managed to escape on a couple of trips. He almost snapped one of my poles on the last trip. 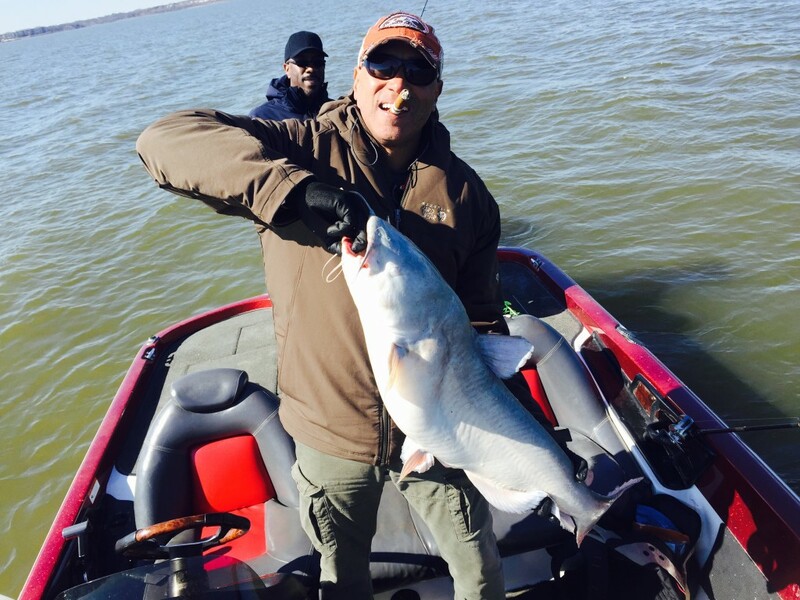 If you looking for Catfish Guide in Lewisville Texas, I can put you on the Blue Catfish. Holly Hell another killer day fishing for Hybrid Bass on Lake Lewisville. The Lake Lewisville Hybrid Bass run is on for sure. 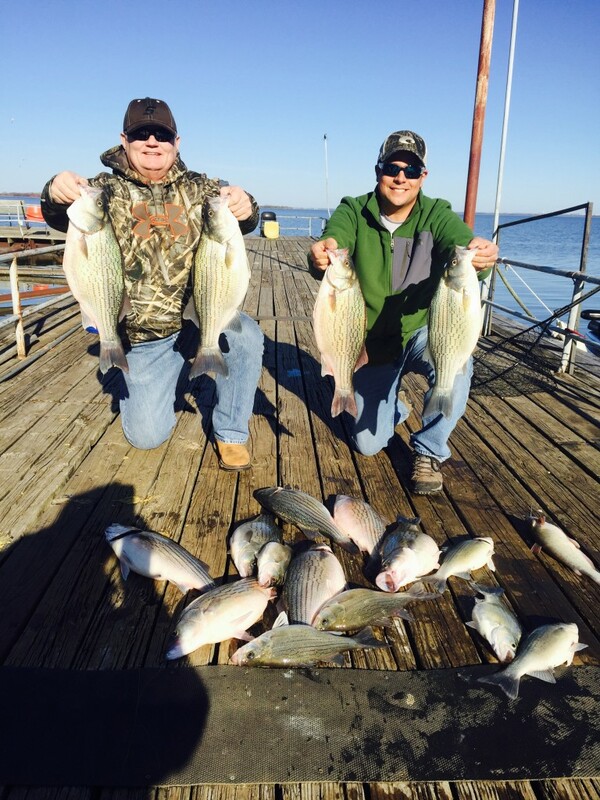 This batch of Lewisville Hybrid Striped Bass was extra fat and weighed in the 8-10 lbs range. Weather was near perfect today and the fish loved it. We had good fishing action all day. Get on this Hybrid run before it ends. Give me a call today to book a Lake Lewisville Guided Fishing Trip. Lake Lewisville Hybrid Bass are large and in charge this year. Lake Lewisville is full of big Hybrid Bass and Sand Bass right now. Whether it’s the higher Lake Levels or the release of water from Ray Roberts; the fishing is good right now. I can put you on these winter time Hybrid Bass and Sand Bass like no other guide. If you want to put fish in the freezer or just have a good time fishing, give me a call to schedule today. 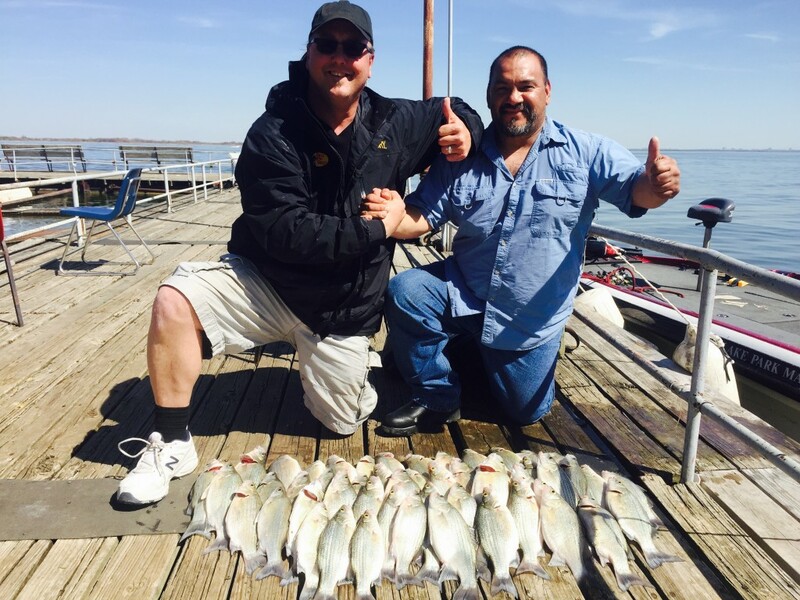 Lake Lewisville is known to be an exceptional lake for Hybrid Bass and Sand Bass Fishing. 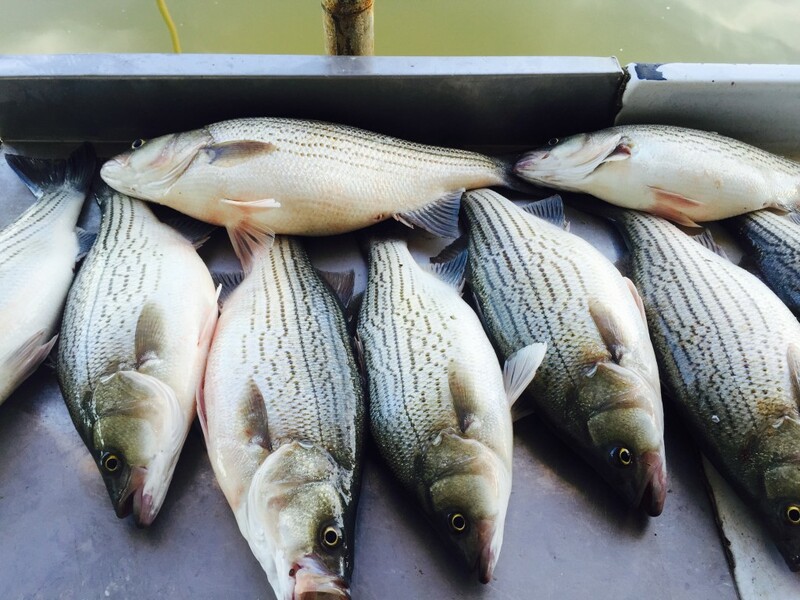 Texas Parks and Wild Life has an aggressive Hybrid Bass stocking program at Lake Lewisville. Every year they stock Lake Lewisville with 10’s of thousands of Hybrid Bass fingerlings. Not many Other fish provide the action packed fun that Hybrid Bass Provided. Hybrid bass feed under a variety of conditions. They can be caught year round and are excellent to eat. Hybrid bass are a cross between a Sandie and a Striper. They get the best of both fish species, with the size of the stripper and the durability of the sand bass. 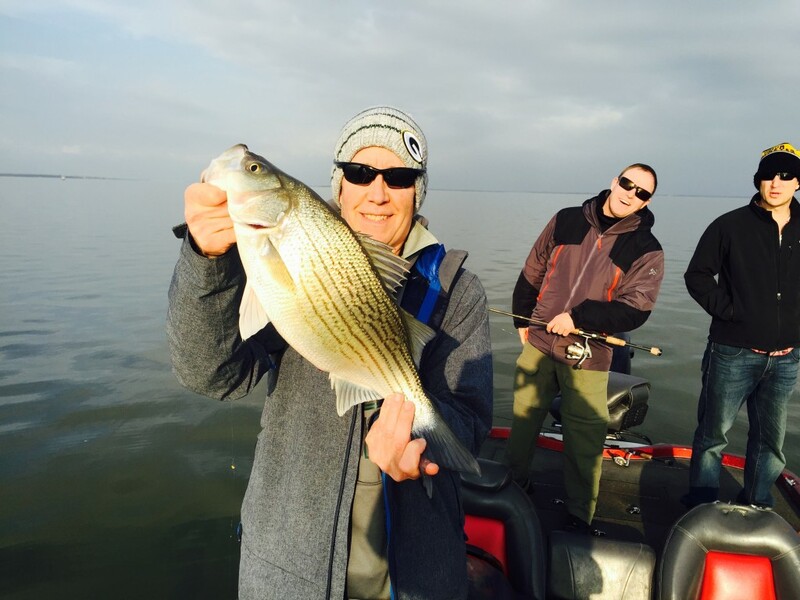 Fishing and catching Hybrids is about as fun as it gets on Lake Lewisville. When Hybrid Bass school multiple fish can be caught one after another. The lake record for a Hyrbid Bass is 12.5 pounds, I am sure I have broken this record many times on my guided trips. Certifying a record Hybrid Bass would mean stopping your guided fishing trip and locating a certified scale. Not many people are willing to stop fishing after just catching a trophy sized Hybrid Bass. If you would like to land a Trophy Hybrid Bass you need the best Lewisville Bass Fishing Guide. I am expert at locating and putting big Hybrids in the boat. Only an experienced Lewisville Bass Fishing Guide can produce fish like these. What are you waiting for, Lets go fishing today. We caught these fat Lewisville Texas Hybirds and Sand Bass on one of my guided trips today. We caught a couple of hybrids over 10lbs and the sand bass are ranging from 2-3 lbs right now. We are catching some really big fish on Lake Lewisville right now. That just goes to show you what can happen on a weekday guided fishing trip on Lake Lewisville. 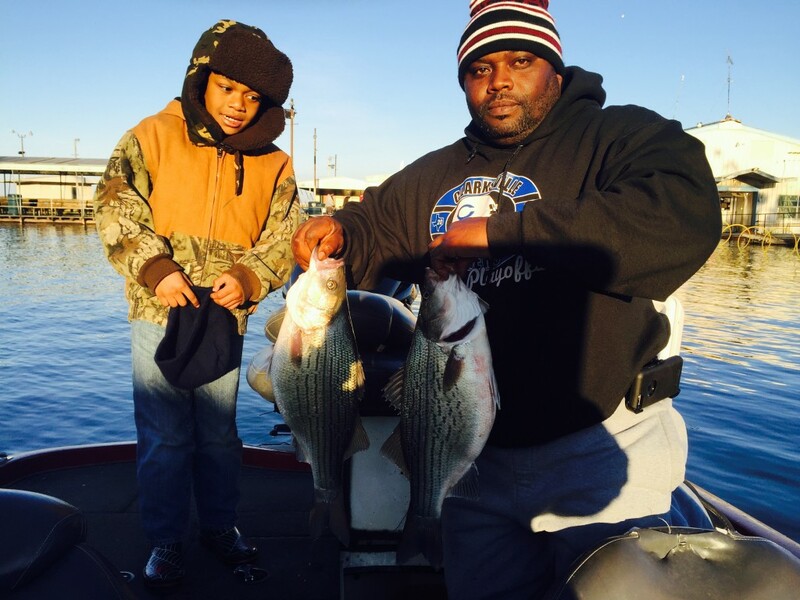 This was Lake Lewisville winter fishing at its best. The weather is cold, but the big Lake Lewisville blues love the chill. 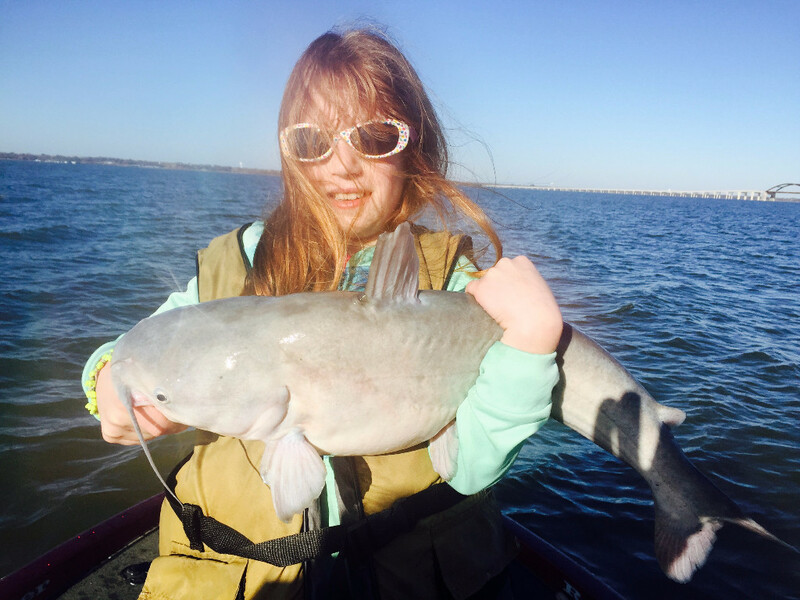 We nabbed this trophy blue on Lake Lewisville today. We had a great day of fishing for blue cats today. I haven’t fished blues for a couple of week, but we killed them today. If your looking for a good Lake Lewisville Catfish Guide call Steves Pro Guide to book today. Another fine day of Lake Lewisville fishing. Check this sweet trophy Hybrid we nailed Friday.